Explore the inventory of new and used BMW models on our lot and you’ll be in awe of the stellar selection of options. From the new BMW 3 Series Sedans to 6 Series Convertibles to our BMW M5 performance models, there is truly something for everyone. Plus, our new BMW SAVs and selection of used and Certified Pre-Owned BMW vehicles make it clear that we are here to serve every potential driver in the Midwest. Just take some time to discuss your wants and needs with our sales staff and BMW finance professionals and we’ll make sure you leave as pleased with your finance plan as you are with your new vehicle. Whether you’re commuting in and out of Wichita, driving from Lawrence or call Salina home, we want to be your resource for quality car care. Our BMW-certified technicians treat your car with respect, and they’ll perform any job you need to perfection. You can schedule a service appointment at BMW of Wichita whenever is best for you, and we’ll get your car back on the road in no time. We also sell genuine BMW parts and accessories if you’re interested in adding some personal style or need to replace a worn down component. Come find us at 11000 East 13th St N in Wichita, KS, just a short trip away for luxury car shoppers from Wellington, Hutchinson, Manhattan and areas like Ponca City, OK. Come see what BMW of Wichita is all about and see how we do luxury like no one else! Any service, even an oil change, or a tire rotation. Just give us a call, and we’ll be happy to come to your location, pick up your vehicle, perform the service, and return your vehicle to you at a location of your choosing anywhere in the Wichita area. See Coverage Information Below. With the goal of making your service experience as pleasant as possible, we stock a fleet of BMW loaner vehicles available to you by appointment and at no charge to you. Everybody knows your vehicle looks best right after it’s been washed. We provide a full wash every time you come in for service, or any other time you’d like your vehicle to look its best. In addition, we can now serve you with TWO locations to receive a complimentary wash at our existing campus at Kellogg & Greenwich, or our new campus on Greenwich just North of 13th street, weather permitting. All of our franchises come with the benefit of a roadside assistance program, but as an added benefit to you, when you purchase or lease a New or Pre-Owned BMW from us, you’ll enjoy the peace of mind knowing that our mobile assistance vehicle is available to you 24 hours a day, 7 days a week. If you’re ever in need of help changing a tire, repairing or replacing a battery, or if you’ve run out of fuel, just call and we’ll dispatch a driver immediately, anywhere in the Wichita area. One way to make the delivery of a new vehicle even more special is to have us pre-load the vehicle with flowers, an over sized gift card, chocolates, photographs or just about anything you desire. Then, allow us to produce a custom video of the entire experience! We will arrange video recording of your delivery and we’ll go on to edit a short movie, email it to your recipients and even post it to the most popular social websites if you choose. We are pleased to offer high-speed internet on several PCs available for your use while here, plus free WiFi, fax and copier service. You will also find several copies of the days Wichita Eagle for you to enjoy with complimentary Starbucks coffee and tea. You can also borrow one of our iPads, pre-loaded with music, video, web-browsing, and social media choices for you to enjoy. Personalize and enhance your vehicle with high-performance accessories and custom entertainment options, plus enjoy attractive logo apparel and accouterments including key chains, shirts, jackets, caps and more. The majority of the pre-owned vehicles we stock are manufacturer-certified and carry the manufacturer’s specific warranty. However, for vehicles that fall just outside the limits of manufacturer certification, we offer our own risk-free certification and protection, beginning with a 155-point safety and quality inspection. Walser Select Pre-Owned Vehicles are protected by a 60-day / 3,000 mile warranty, regardless of age or miles. We also provide a complimentary Carfax vehicle history report and as an additional courtesy to you, all Walser Select Pre-Owned Vehicles are eligible for exchange (full credit toward another Walser Select Pre-Owned Vehicle) within 7 days or 500 miles from the time of purchase, ensuring that your pre-owned vehicle experience is risk-free. Each and every time your vehicle is in for service, we will complete a comprehensive safety and maintenance inspection and provide you with a report detailing all findings and specific recommendations for your vehicle. When you buy or lease a New or Pre-Owned Mercedes-Benz or Porsche from us, we’ll pay for your first year’s enrollment in the Mercedes-Benz or Porsche Car Club of America. 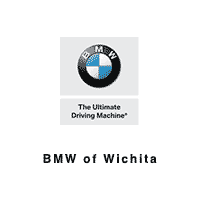 When you visit bmwofwichita.com, any time of day or night, you will have the option to quickly and conveniently schedule your next service appointment, without ever dialing a telephone number or speaking with an operator. If you are interested in scheduling your next service appointment, click here. Of course, you can always call us, if you prefer. While you’re in for service or maintenance, allow us to make arrangements for you at a local salon or spa, provide assistance with your shopping, even pick up your dry cleaning for you. The Pick-up and Delivery Service will perform these services at your home or office providing the address is within our coverage area. Ask an Associate if your home or office is within our coverage area. We reserve the right to amend, update, or change these amenities at any time, with or without notice.